You live with kids? You live with germs. You know — the nose-picking, fingers-in-mouth, playing-in-mud dependent little souls milling about your home. Cleanliness can be mind-numbingly redundant to enforce. Every table you wipe, carpet you scrub, molecule you disinfect, and reminder you give to “wash your hands” is liable to feel like a hopeless endeavor. You just have to face facts. You can’t fully control what your kids bring in and out of the home. However, you can control what comes out of the tap. The first step? Know what you’re fighting against. There’s a good chance you already have some sort of water filtration system in your Escondido home. It’s easy to pick up on aesthetic issues – rotten egg smell, chlorine taste, hazy water. However, contaminants such as lead, arsenic, nitrates, and certain types of bacteria and viruses go undetectable. 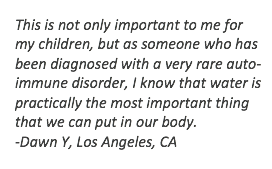 Additionally, there’s something worse many moms don’t know about. 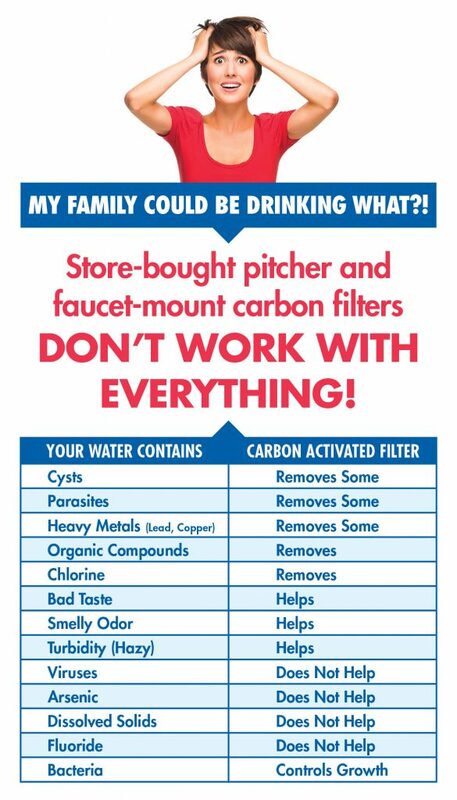 Most of these inorganic contaminants are not filtered out by carbon activation pitchers or faucet mount filters – though many these days are designed to filter out lead. If your home was built before 1986, lead could be an issue. Statistically, your home has a higher chance of having lead pipes or fixtures. Even if you’re sure it doesn’t, your service line might. So how do you find out more? Your local Escondido Culligan also offers a water test. It’s a quick, in-home evaluation, that typically takes 10 minutes. And it’s totally free. Seriously, which of these should you NOT have to worry about on a daily basis? We get it. There’s no relaxing. It’s a grind. But getting a free water test checks ONE box. Call Culligan of Escondido or click FIX MY WATER today to learn more.